Outsource HTML5 responsive and mobile friendly website design projects to India. Outsource Offshore Asp.net, PHP, Woocommerce shopping cart software solutions to India. Reasonable mobile application development for Android & iOS in India. Internet marketing services on Facebook, Twitter, Linkedin,etc. Why Outsource to Creative Web Solutions? India is a country with vast population derived of enormous skilled resources. You get variety of IT engineers, programmers, designers. Get skilled designers and graphic artists for making your web presence loud and attractive. By outsourcing your web design projects, you not only get access to creative web designers & web design companies but also you get their services at a fraction of cost as compared to other western countries like US, UK, Canada, Australia etc. The Indian time zone is 5.5 hours ahead of GMT and 10.5 hours ahead of the EST, offshore companies can take on more work and keep their customers happy by outsourcing to India. Creative Web Solutions offers a dedicated team of programmers, designers, and developers. The IT sector has invariably been a prime priority for Republic of India’s government and India has ensured that the outsourcing method is seamless by fitting a ministry of IT. This Information technology ministry streamlines regulative processes and quickly approves the implementation of IT comes to India. Over the past ten years, Government of India has been able to build many advanced IT parks with up-to-date technology and best-of-breed infrastructure. The Indian Government has permitted 100% foreign equity. 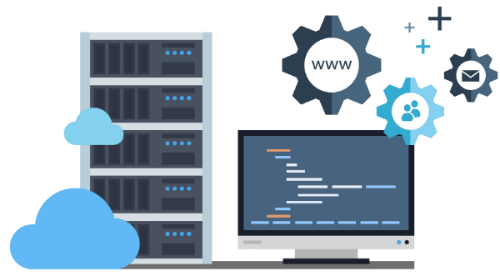 Our total web development experience exceeds 100 man-years.We accumulated considerable solution experience ranging from simple websites to complex integrated web systems. An (India) Pvt. Ltd. Company, in IT industry since 2003, We follow an established development methodology and apply stringent quality standards. We are your one stop vendor for turn key web solutions. Looking for a reliable IT company to Outsource your Web development? All processes are implemented by a precise plan. The plans and timetables are developed at the initial stages and approved by the customer prior to launching the project. The Project Manager and other managers of the company supervise the execution of the plans. This double control, on the part of the managers as well as the customer, allows us to avoid deviations or wasted time. In many cases, the duly synchronization of an initial code, executed code, data, diagrams, content or documentation is a pledge of success under conditions of the remote development. When you entrust your project to Creative Web Solutions you can be sure of our reliability and highest business ethic principles. After project completion, all materials are transferred to customer. We can store a copy if the customer requires ongoing support or requests that we store a copy (archive) for safety of the data. In this case, we guarantee our confidentiality. When you are confident with our security and reliability, we can go further: review and define your requirements.